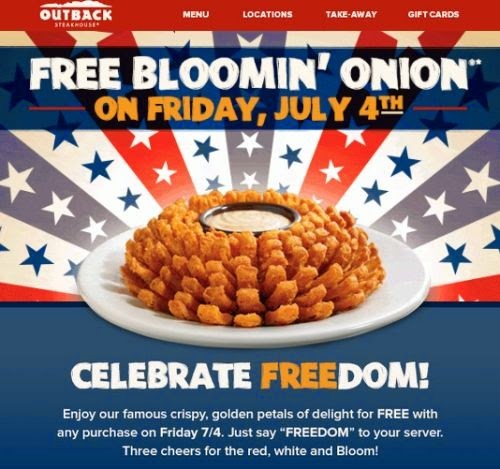 Freedom Rockz: Free Bloomin Onion 4th of July! Free Bloomin Onion 4th of July! Just stop by & get a free Bloomin Onion with any purchase just say, "Freedom" to your server. Click the link below to locate your nearest Outback. Happy 4th of July! Thank you to all who have served.